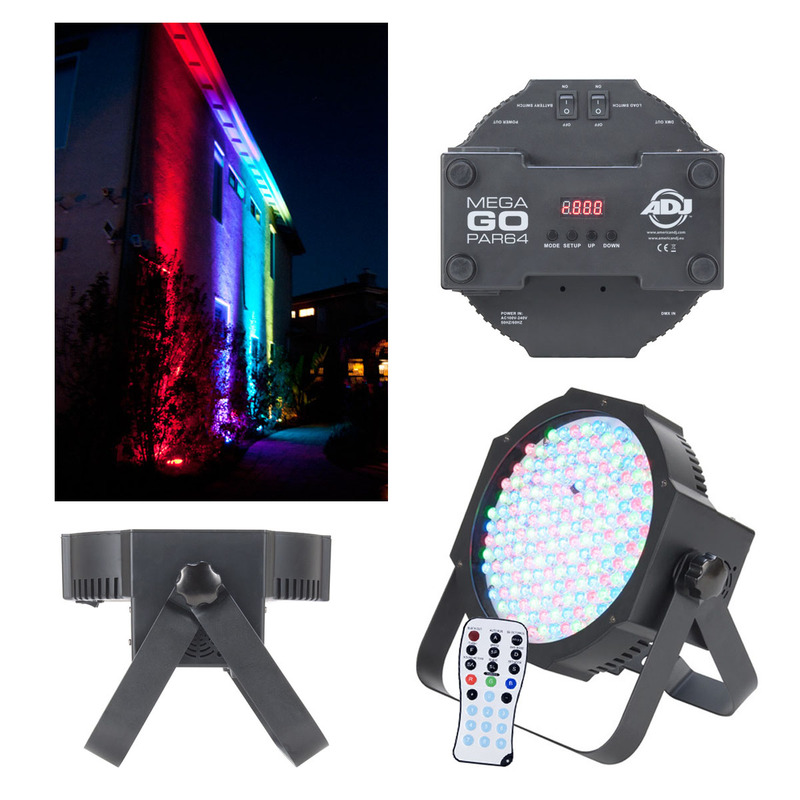 The ADJ Mega Go Par 64 is a rechargeable lithium battery powered low profile LED Par Can that offers the creativity of RGB color mixing for stage or wall washing, plus the freedom to set up your fixture where ever you wish without the restrictions of power. This fixture uses LEDs rated at 50,000 hours with a maximum power draw of 22W. DMX addressing may also be changed by the unit’s 4-button LED display, or controlled by a DMX Controller or the ADJ LED RC infared wireless remote control. There is no duty cycle on the Mega Go Par 64, plus users can “daisy-chain” the power from one unit to the next with the built-in IEC power Ins/Outs. Battery powered ultra-bright Par 64 with 176, 10mm LEDs (58 Red, 60 Green & 58 Blue LED). 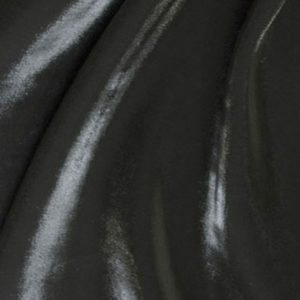 Great for performance stages where traditional par cans emit a lot of heat onto performers. Smooth RGB color mixing the Red, green & Blue LEDs (fast or slow color change operation). Rechargeable Lithium battery built into fixture. 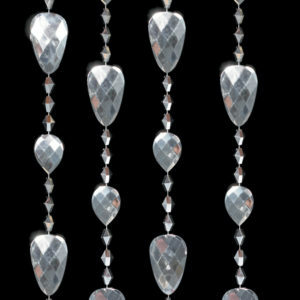 Long Life LEDs (50,000 hrs.). Low power consumption, low heat. 7 DMX Channels: 1,2,,3,4,5,6 & 7 channels. 5 operational modes: Auto (Program Run) Mode, Sound Acitive Mode, RGB Manual Control Mode, Static Color Mode and DMX-512 Mode. Flicker Free. 32 Built-in Color Macros. LED pulse and strobe effect. Sound Active. 30-degree beam angle. Electronic Dimming: 0 – 100%. 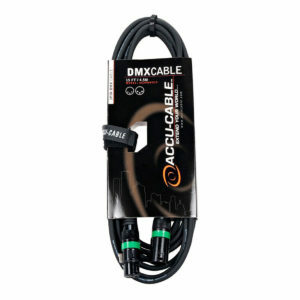 Linkable via 3-pin XLR cable. IEC AC Power In/Out on rear to daisy chain power (Up to 30 Mega Go Par64’s). 4-button LED display on rear panel.